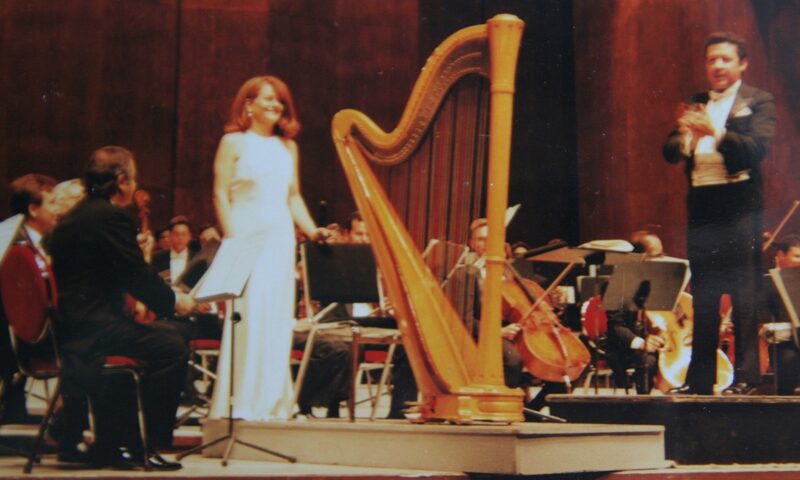 Asuncion Claro has for over 40 years pursued both classical and contemporary music, with her outstanding qualifications as harpist and musician giving her countless appearances all over the world. She studied with ao. Pierre Jamet and has been student at Hochschule für Musik in München, Conservatoire National Superièure de Musique à Paris, and The Royal Danish Music Conservatory. Having released over 20 recordings on a variety of labels such as CBS, Sony-Classical, and Naxos, her interpretation of the standard repertoire and her contribution to its expansion is readily available. Central in her concert activities have always been the core repertoire by composers such as Handel, Mozart, Dittersdorf, Debussy, and Ginastera. However, contemporary music has increasingly caught her interest, resulting in numerous dedications and world premiere performances of landmark compositions of works for harp solo and orchestra, chamber music with harp, and solo works for harp by leading international composer such as Per Norgard, Gustavo Becerra, Åke Parmerud, Lars Graugaard, Nicola Sani, and Fausto Romitelli. She has furthermore been a leading figure world-wide in promoting the unique combination of harp and electronics through commissions, live performances and recordings, hereby furthering a new means of expression for her instrument.